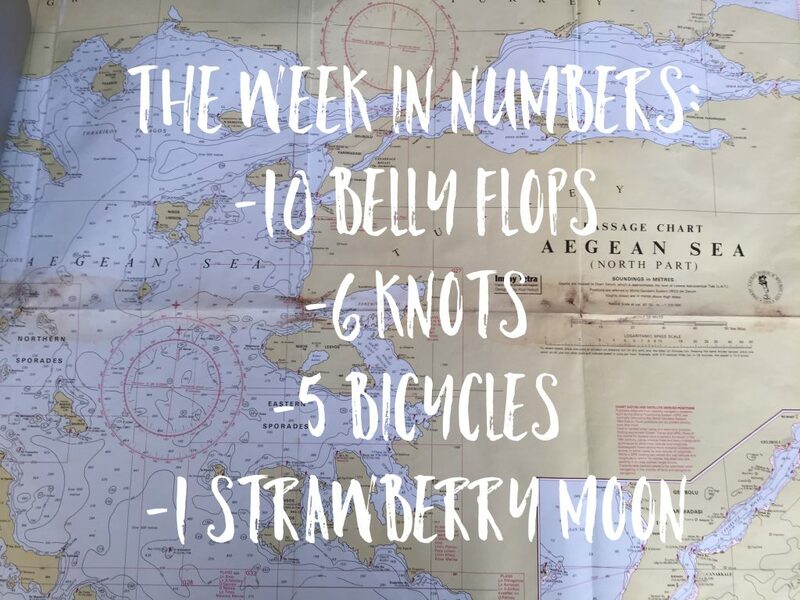 This week we’re still riding high on the wave of our successful first week at sea! We were sad to bid farewell to our very first batch of Coboaters, but it was an honour to share such a momentous week in Coboat history with them. This week was a little different, dedicated entirely to team training with no guests on board. We spent 7 days getting to know each other even better, and ensuring everyone has completed their Coboat training– from learning new knots to safety procedures. 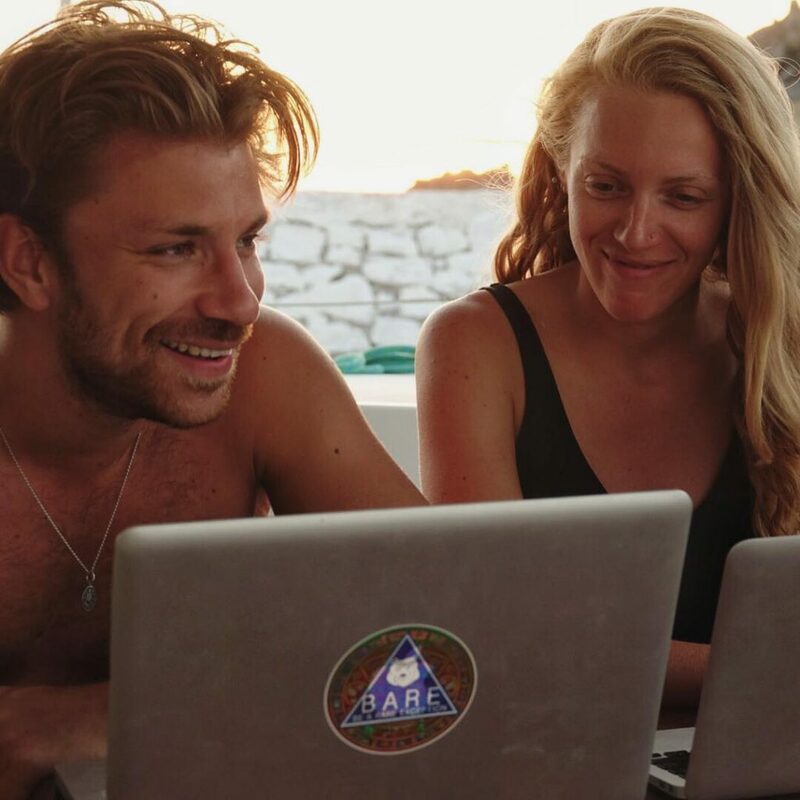 After hosting a the first-ever Coboat Sunset Cruise, which was a resounding success, the next day we bid farewell to our friends over at the Lemnos Camp and set sail to new horizons. We headed North, towards the Island of Samothraki. 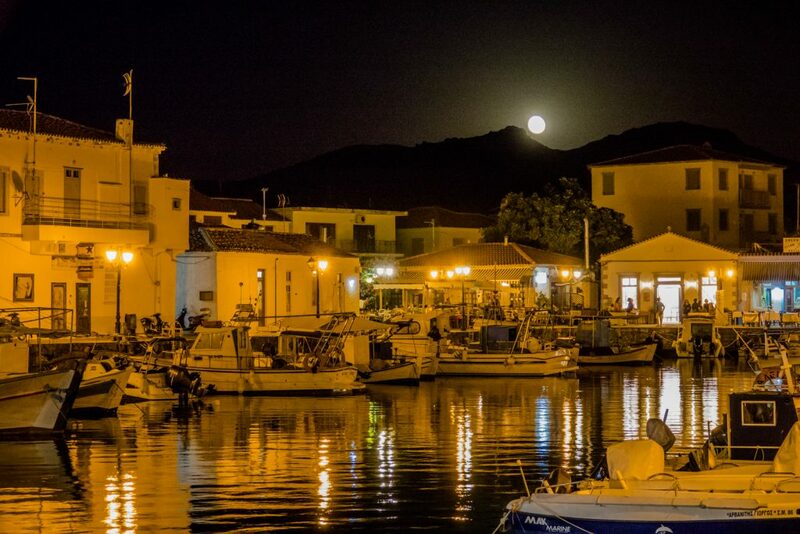 Coboat bids farewell to the Lemnos Camp and sets sail into the horizon. 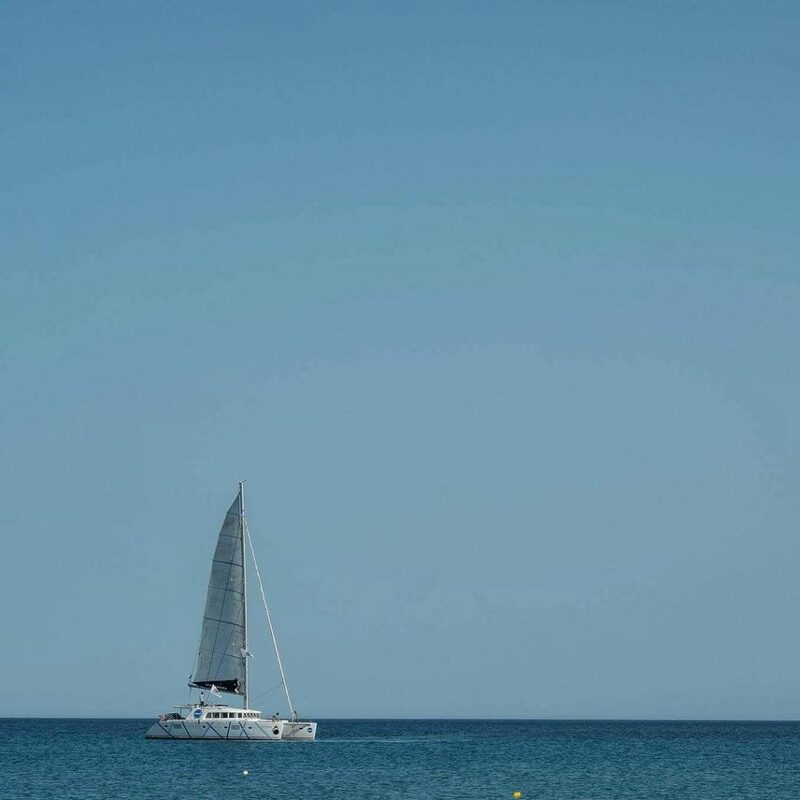 Our sailing book describes Samothraki as: “ ..a forbidding looking place…Samothraki was regarded as a sacred island and a sanctuary for initiates of the cult…” Not at all ominous! But Coboat is all about adventure and new horizons, so we couldn’t wait to see what lie in store. 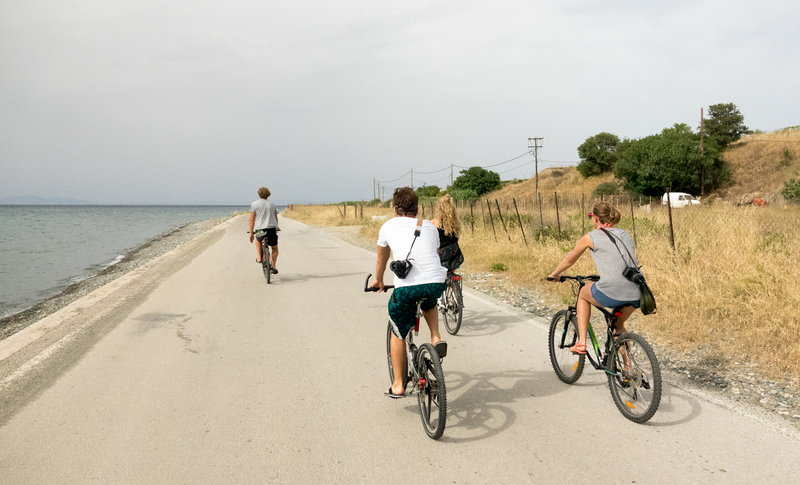 The island is home to the Sanctuary of the Great Gods, celebrated throughout Ancient Greece for its Mystery religion, so after mooring we set off on in search of it via bike. Unfortunately, we’re still getting used to Greek siesta time, and the fact that everything closes between 3pm and 7pm. Arriving to find the Sanctuary closed, we went for plan B, a dip in the Ocean and an ice cold beer–a different kind of sanctuary but still a good one! Under the guidance of expert sailors, Karsten and Gerald, we all undertook sailor training throughout the week. We practiced tying all sorts of essential knots, and how to properly fix and release ropes together as a team when mooring in harbour. Out on the Ocean, who should we see again, but more dolphins. They’re fast becoming honorary members of the Coboat team. This is the 5th sighting in under 8 days. 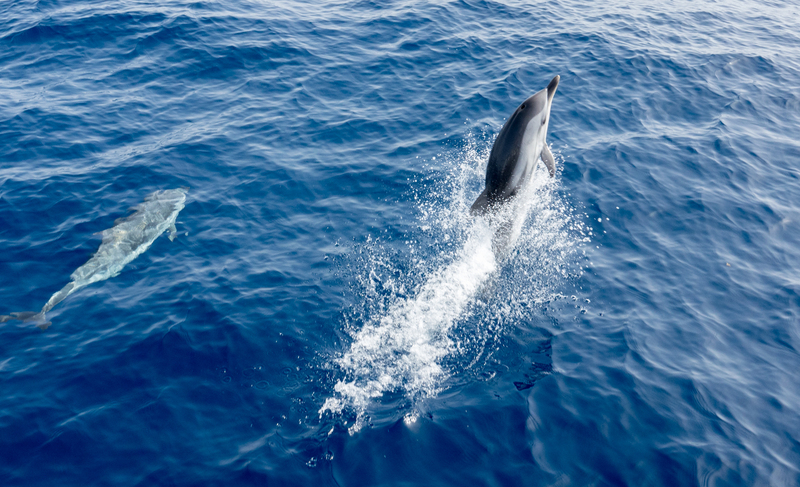 This little dolphin briefly forgot how to dolphin. Although we’re definitely down with his unique jumping style. Taking some inspiration from this little guy, we found out that Coboater, Jacob, never learnt to dive properly. So there was some less formal training…. Karsten tries to teach Jacob how to dive. What followed were a lot of belly flops. We also spend time planning for the week ahead ready for the next group of Coboaters to come on board. Kim and Jacob work on the menu and activity plan for guests. Later in the week we headed back to Myrina in Lemos where we would meet the next group of guests. We spent a magical evening on anchorage under a beautiful Strawberry moon near the town. Under a full moon and in the shadow of Myrina’s Byzantine fort….can you imagine a better way to welcome the first day of summer? After a week of getting to know each other better, we’d love to get to know you better too, so why not introduce yourself in the comments below?